The Rolling Stock series disinfects potable water on trains. Potable water that is stored in supply buffers on trains is at risk of being polluted. 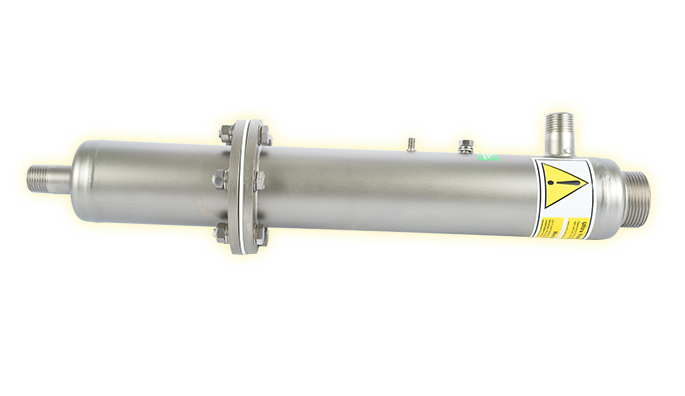 The Rolling Stock series disinfects this potable water shortly before use to ensure microbiologically safe potable water. The Rolling Stock series meets all market standards, such as shock and vibration resistance, and the deployment of special cables. This series has been validated according to the NEN-EN 14897 standard and the disinfection performances of the UV systems have been measured. This is shown in the capacity-transmittance graph below.